Adirondack Theatre Festival (ATF) is a professional not-for-profit summer theatre located in Glens Falls, NY. ATF strives to challenge, entertain, and nourish its audience through the development and production of new and contemporary musicals and plays. This relationship engages the community as audience members and participants in workshops, discussions, and educational programming. 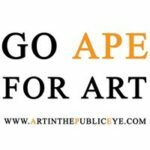 Our Mission is to cultivate a partnership between the area arts community and local businesses, to promote established and emerging artists and local commerce, and to create greater access to the arts through cultural activities and public exhibitions. 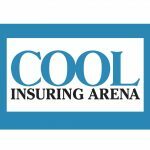 The Cool Insuring Arena is the region's top destination for events and sports including concerts, hockey, shows, and more. The Cool Insuring Arena is home to the Adirondack Thunder. A full service restaurant and brewpub in the heart of downtown Glens Falls since 1996, featuring our handcrafted British style ales on draught as well as cask conditioned ales. Serving lunch and dinner daily, family friendly with kids menu and game room, outdoor seating in the summer, live entertainment on the weekends. Banquet facilities also available. Built in 1911, the Park Theater completed a major renovation making it possible to accommodate screen films, local performers and ever-growing musicians and artisans from around the country. We also accommodate banquets, weddings and private functions in the theater area exclusively or the entire building incorporating our warm and inviting area for dining in Doc's Restaurant on the lower level. We hope you will join us as we enhance the quality of life in the greater Glens Falls area.